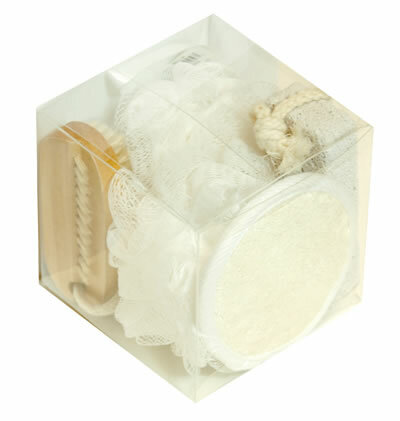 Set of 2 mini mesh sponges, nail brush, oval pumice stone and small loofah pad. Packaged nicely inside a 4x4x4in clear cube box. Great gift for friend and family.